When should I renew my foreign passport? The answer is “as soon as allowable.” Typically a passport can be renewed within 12 months of the current expiration date. Renewing a foreign passport in the U.S. can take several weeks or even months. 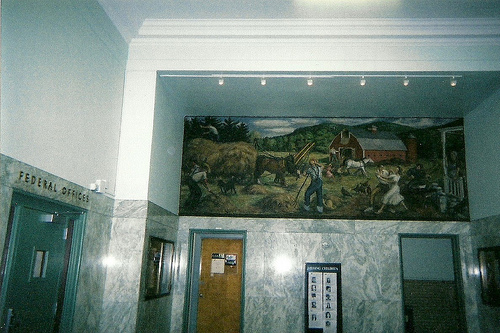 New Deal mural entitled "Haying" painted by Philip von Saltza in 1939. The post office shared space with a Federal courthouse and when the post office moved to new quarters around 2008, the mural became off limits to the public until 2011 when a new Passport Agency opened in the old post office quarters.